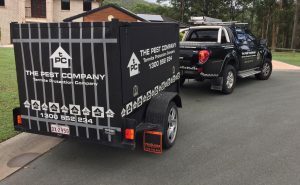 After 17 years in the Pest & Termite industry, Brisbane Termite Protection continue to protect homes from Termites. Our ongoing training ensures we are up to date with the latest protocols. All Termite Management programs including Termite Treatments and Termite barriers start with a Termite Inspection to ascertain the overall situation at the property. Termite Protection advice, see our links below for further details on how to protect your home from Termites. There are a range of Termite Management systems available to protect a property from Termites, however we provide the best available options when it comes Inspecting and Protecting your home. Choosing the best or the most affordable option to protect a property is always a case to case scenario as determining the type of construction plays a part in the decision making. We offer a free onsite consultation and written proposal, book one today 1300 552234. Termite Management systems we install include; Termite Chemical Barriers or Treated Zones, a Monitoring & Baiting Systems to existing homes. Physical Barriers and Chemical Reticulation systems to new homes and extensions. One of the most critical aspects of this business is to ensure we offer Reliable, Trusted and Experienced employees.